Ram Trucks recently announced new EcoDiesel towing figures, and the 2014 Ram 1500 will offer best-in-class tow ratings for V6 gasoline pickups. The 2014 Ram 1500 is at the top of the segment with a towing capacity of 7,450 lbs. To achieve the higher capacity rating, Ram powertrain engineers added more robust parking gear to the eight-speed TorqueFlite 8 transmission. 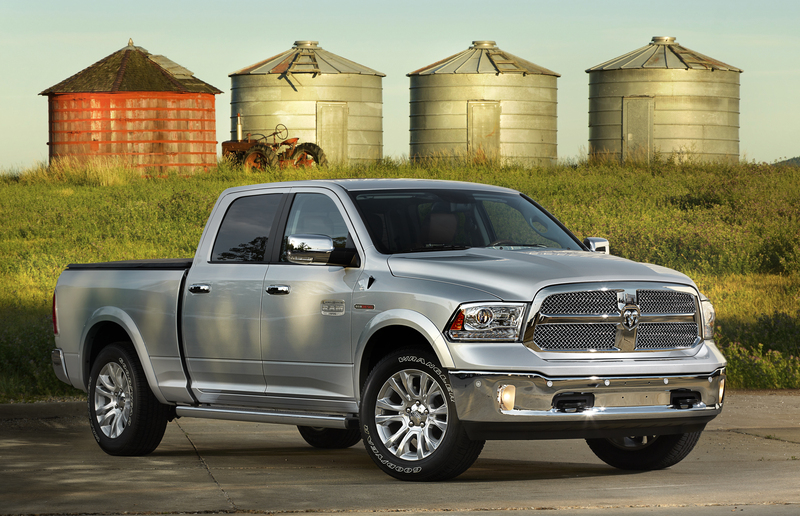 The new 2014 Ram 1500 EcoDiesel will tow up to 9,200 lbs, according to Ram Trucks. The 3.0-liter V6 engine also has best-in-class fuel economy of over 25 miles per gallon on the highway. New features on the 2014 model year of the new Ram 1500 include front park assist, variable displacement compressor, humidity sensor, pulse-width modulated blower, and air conditioning refrigerant. Look for the 2014 Ram 1500 in the fourth quarter of this year when it arrives at Rothrock Chrysler Dodge Jeep Ram in the Lehigh Valley with a price starting at $24,200 plus $1,095 destination charge.